Theodore " Teddy" William Campbell, Jr.
Mr. Theodore "Teddy" aka " Junior" Campbell, Jr, 78, of 1068- A West Old Rd, Lillington, NC, died on Tuesday, October 9, 2018, at Betsy Johnson Hospital, Dunn, NC. He leaves to cherish his memories his beloved wife : Mary Ann Campbell, of the home, sons; Ted (Nita) Carney,of Georgia, Graham, of Lillington ,NC and D’andrea, of Bunnlevel, NC, two sisters,Vivian (Ladd) and Donnie, both of Lillington, NC, two brothers, Wayne (Wanda) and Bonnie (Sue), both of Lillington,NC, two sister- in- laws; Vera, of Lillington, NC and Clara, of Boston, MS, two aunts; Flora Taylor and Della Powell, both of Lillington,NC, fifteen grandchildren,seventeen great-grandchildren and a host of nieces, nephews, cousins and friends, and a special and favorite nurse Ella Williams, of Lillington, NC. 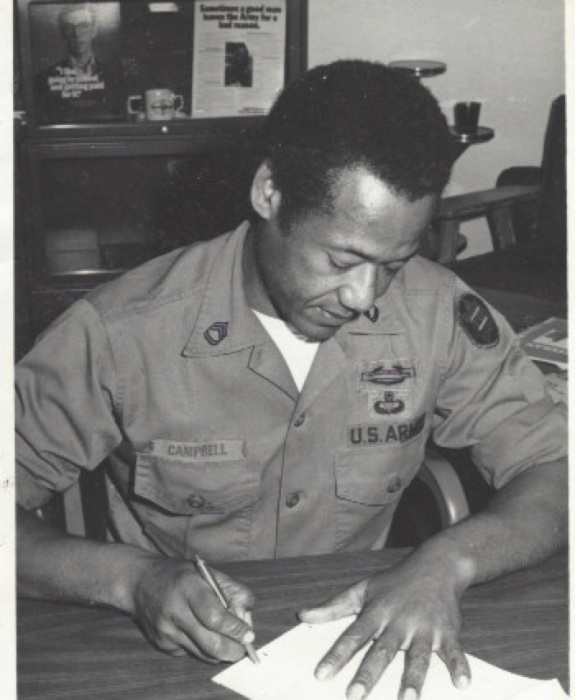 Viewing for Mr. Campbell will be held on Saturday, October 13, 2018, from 2:00 p.m. to 5:00 p.m., Walker Funeral Home and Cremation Chapel,163 Irene Roberts Rd, Lilllington, NC. Visitation will be held on Sunday, October 14, 2018, from 2:00 p.m. to 3:00 p.m., Funeral Services following the viewing, beginning at 3:00 p.m.,Cape Fear Conference “A” Headquarters, 25 Beaver Rd, Erwin NC. Interment will be at Sandhills Veteran Cemetery, Spring Lake, NC, Tuesday, October 16, 2018, at Noon.